When you are looking for a new vehicle, it can be hard to tell the difference between two models just by looking at them. Most vehicles today offer sleek, bold designs on the outside, so it can be tough to figure out which one will offer you the features and capabilities that you are looking for. That's why doing comparisons of these models can be so helpful for you, because it dives into the details of each model to show you the features and differences so that you can decide which model is right for you. 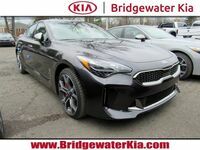 This comparison looks at the base models of the 2018 Kia Stinger vs 2018 Ford Fusion. 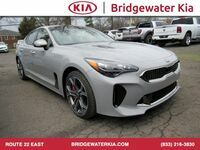 While both the Stinger and the Fusion have bold, stylish designs that draw attention on the road, the Kia Stinger offers more power, comfort, convenience and safety features than the base trim of the Ford Fusion can. 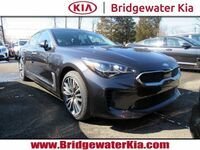 Despite being offered at a higher starting price point, the Kia Stinger is the clear winner in this comparison due to the amount of features offered on its base trim. Let's take a closer look at the key features and differences between these models! 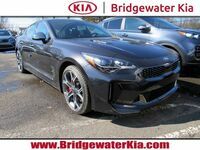 The Kia Stinger is bold and capable. It comes standard with an intercooled turbocharger and leather seats, neither of which are available on the Ford Fusion, and it has rear-wheel drive as opposed to front-wheel drive in the Fusion. 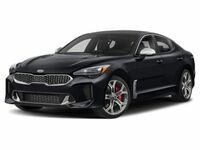 The Kia Stinger also offers more cargo space than the Ford Fusion can, reaching a whopping 40.9 cubic feet of cargo space versus just 16 cubic feet of cargo volume available in the Ford Fusion. 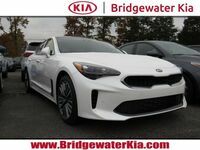 The Kia Stinger offers many features like a standard auxiliary port, heated front seats, parking assist technology, a remote starting system, heated side mirrors and dual-zone front automatic climate control, versus manual climate control in the Fusion. The Stinger also has available features to upgrade to like adaptive cruise control, a built-in programmable garage door opener, lane departure warning, a blind spot monitoring system, and forward collision warning. None of these features are available in the Ford Fusion. 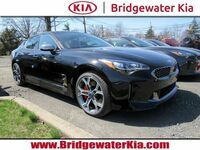 The 2018 Kia Stinger is available now at Bridgewater Kia. Browse our inventory and set up a test drive online today!